Groundhog's Day is quickly approaching (February 2nd for those of you that don't remember). Will Phil see his shadow? Or will we get more spring? We'll see! Below we've listed ten ways to celebrate this fun holiday. The history page on groundhog.org is a good place to start. 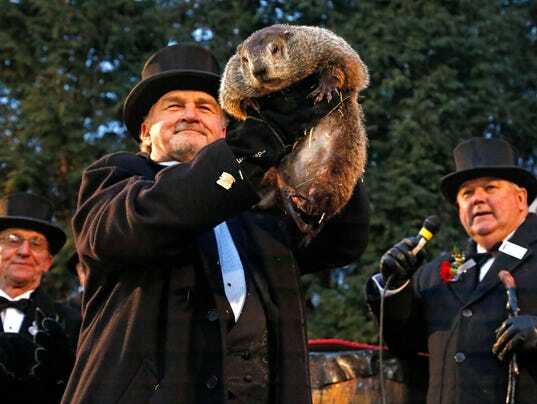 There isn't a better way to celebrate the main holiday event (other than being there in person) than watching Punxsutawney Phil predict whether we'll have six more weeks of winter or spring. Watch the 1993 movie Groundhog Day starring Bill Murray. This one is a classic and a must! Did someone say food? Who really needs a reason to celebrate and eat some food! And the cute cupcakes pictured below are one of the many groundhog-themed cupcakes you could make (and you can grab the recipe here). This is a fun way to test your Groundhog Day knowledge. Take the quiz here. 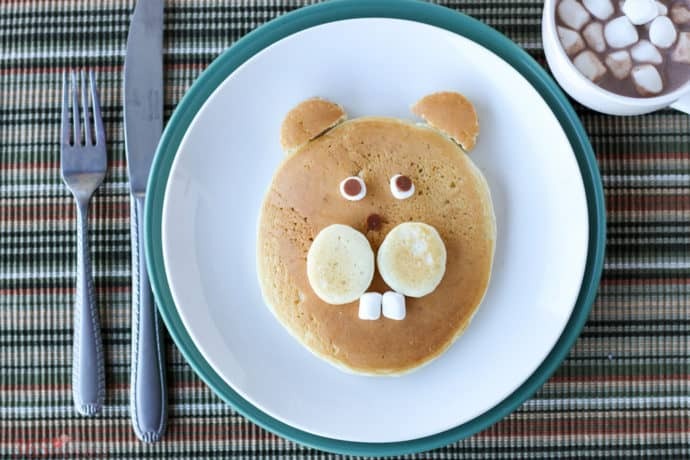 This Groundhog Day pancake recipe will be an instant hit with the kids (or your inner child :). Find the instructions here. If groundhogs are native to your environment, then what better way to celebrate groundhog's day than to go on a walk in nature to look for groundhogs. If you're with a group of people, make a game of it and see who can find the most groundhogs! Another fun way to celebrate Groundhog's Day is to see what your town is up to. Many cities across the Unites States put on their own festivities to celebrate the day. Let your creativity show by decorating your office, cubicle, or home in a "Punxsutawney forest" or "spring/winter" theme. This fun activity to celebrate Groundhog's Day, is easy, and can be as detailed as you'd like, but all you really need is some construction paper and cutting skills to create a few decorations.